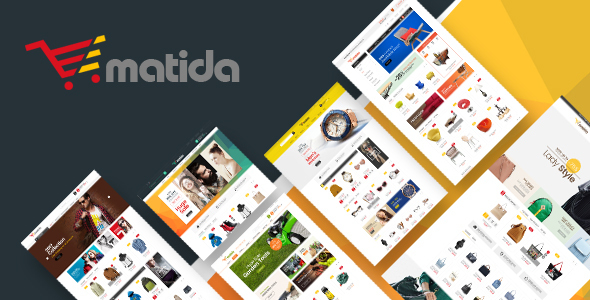 Matida is a smooth and flexible, technologically innovative and creatively imaginative, readily Responsive Magento Multipurpose theme. 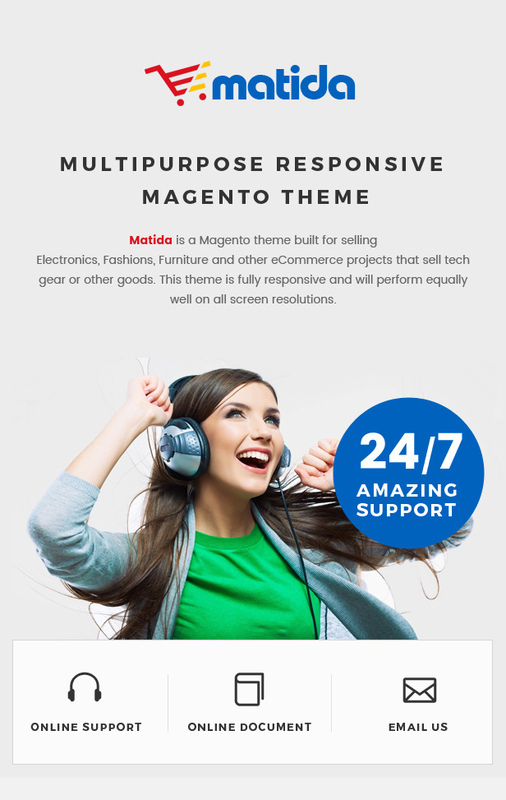 Matida Magento theme is a solution to all your website building needs. This theme is retina ready to display images clean and sharp on all web browsers and mobile devices! 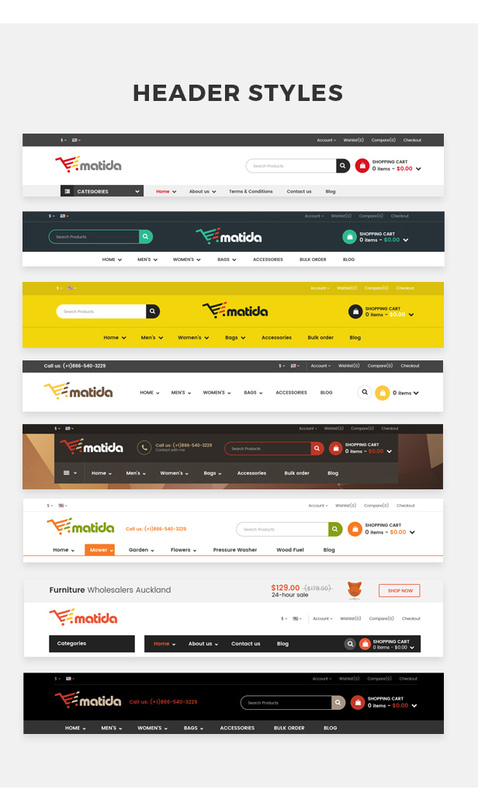 Matida theme includes 8 different home page demos and each home page have specified header’s style and specified footer’s style. Highlight in this theme is slideshow with nice images, unique effects, nice texts, you can customize in admin panel is easily. Horizontal Megamenu & Vertical Megamenu are designed to support product categories, any links and static block added to menu. Header is small and simple with icons, toplinks and some information such as phone number, contact. Timer Countdown for each discount product is designed superbly and logically. Comments, reviews of customers sent to you and your promotions sent to customers via posts with Blog module. Products of each category are shown in each tab with Tabs Category Slider. Related Products Slider & Upsell Products Slider are integrated in Product page. With impressive images effects being equipped, viewers certainly experience interesting shopping time.